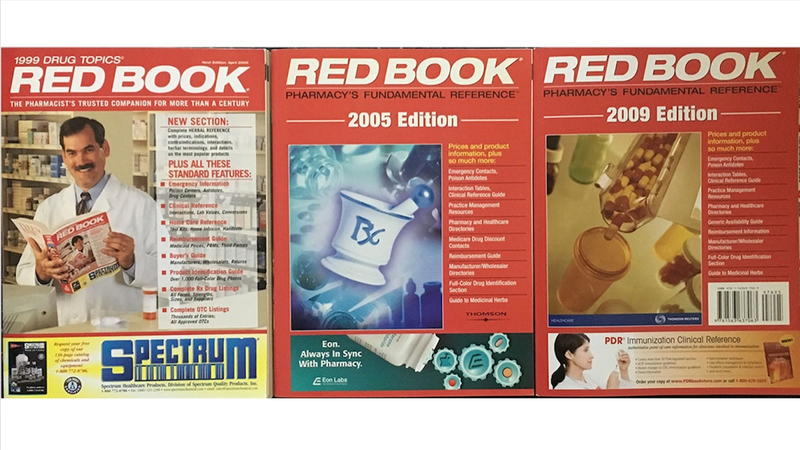 For more than 120 years, RED BOOK has been the healthcare professional's choice for prescription and OTC product pricing – whether in raw data file or online. The IBM Micromedex® RED BOOK® database files provide prices and descriptions for over 300,000 prescription and over-the-counter pharmaceuticals, chemicals used for compounding and medical devices and supplies. Virtually every drug product approved by the Food and Drug Administration (FDA) for manufacture and distribution appears as a record in the RED BOOK database files. RED BOOK covers the full spectrum of current drug pricing and product information. You get Average Wholesale Pricing (AWP) and Wholesale Acquisition Cost (WAC) coverage for brand and generic drugs. RED BOOK provides consistent, unbiased Average Wholesale Pricing (AWP) drug pricing policies and methodologies help to ensure confident decision making. RED BOOK eliminates the need to conduct redundant searches within multiple resources. It simplifies identification, analysis and comparison of drug and non-drug products. Daily updates ensure access to current price changes and new product information. Price changes effective within last 30 days are flagged for easy reference. RED BOOK includes information on prescription and over-the-counter drugs, bulk chemicals, nutraceuticals and non-drug items. Search online for prescription or over the counter medications, nutraceuticals, bulk chemicals, medical devices or supplies by product name or manufacturer. A fixed, ASCII (text) flat file, delivered in a number of frequencies, that provides over 40 fields of product prices and descriptions. A fixed, ASCII (text) flat file, delivered in a number of frequencies, that provides over 100 fields of product prices and descriptions. A fixed, ASCII (relational tables) flat file, delivered in a number of frequencies, that provides over 100 fields of product prices and descriptions.